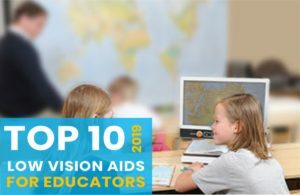 If you are interested in the Top 10 List for Educators – 2019, you can find it by <clicking here>! well as other products in the marketplace. A Comprehensive Assistive Technology Evaluation is a key component to the IEP (Individual Education Program) for any student who has low vision or blindness. Our extensive Comprehensive Assistive Technology Evaluation is designed to supplement the overall educational plan for special needs students. Our primary goal is to identify what type or combination of assistive technology will be the most appropriate for the needs of the student. Ruby 7 HD is one of the newest handheld video magnifier in the popular Ruby series. 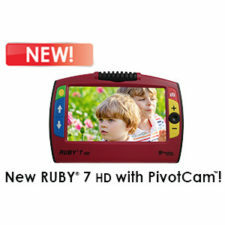 Ruby 7 HD comes with a bigger screen, higher magnification and all sorts of new and improved features, including the new PivotCam™ – a rotating camera that gives you even more viewing options, including distance viewing. Prodigi “MATT” Connect is one of the most powerful digital magnifiers on the market – with desktop and distance viewing. 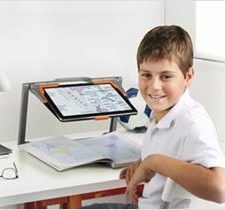 It is a wonderful solution for low vision students or anyone suffering from low vision who is looking to enlarge print and images, using an Android tablet. 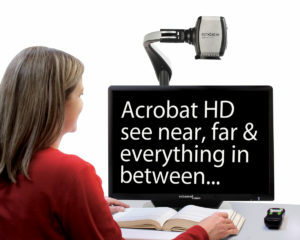 The Distance Viewing camera allows user to view documents or classwork from their desk. 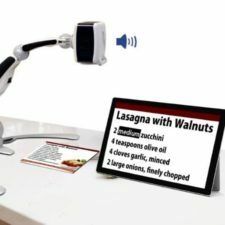 The MagniLink Zip Premium Full HD 17 desktop video magnifier is at the forefront of modern technology and a winner of the prestigious Red Dot Design Award. 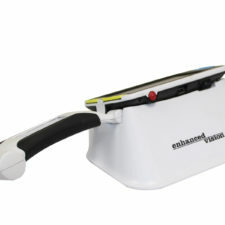 It was developed to be easy to use, light in weight, and with small dimensions when folded down. 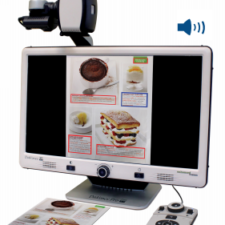 This model is equipped with a Full Hi-Definition monitor and reading / distance camera, that both swivels and tilts. Some of our experts have said wearable technology is the future to help those with vision loss live an active lifestyle. 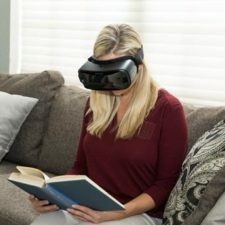 Our wearable options makes it possible for those with low vision to see and take part in everyday tasks, such as reading and being able to see a loved ones face. Are you diagnosed with Macular Degeneration or Stargardts? 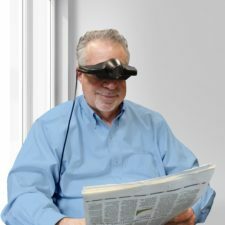 If so, then the Patriot ViewPoint, the latest wearable low-vision glasses showcasing a spectacular 96 degree viewable field, is the product you have always been waiting for. You must try this product! The wide-screen 96 degree viewable field is the largest on the market, and it makes all the difference having a super-sharp wide display bringing close to you nearly everything that is displayed at a distance. Are you or a loved one having trouble processing words? Many people who had a stroke, Cortical Visual Impairment (CVI) or Traumatic Brain Injury (TBI) can’t process the words they’re seeing. 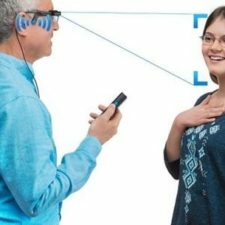 OrCam’s advanced technology can help visually impaired and cognitive impaired achieve visual independence. 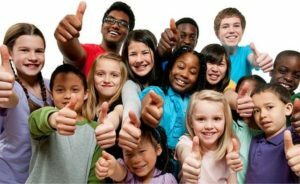 Please keep in mind that New England Low Vision and Blindness offers low vision and blindness assessment and training services for students, teachers and schools and an Advanced Low Vision Rehab Clinic to help students with vision impairment maximize the remaining vision that they do have. Our Assistive Technology Specialists and Trainers can assess needs, recommend low vision and blindness devices, set up systems and provide training for visually impaired students and the education professionals who work with them. Our training services enable students and teachers to use technology to get the visually impaired student immediate access to tests, notes, presentations, etc. and to have the same equal access to educational information as their peers. 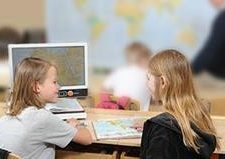 We help you and your students with low vision better understand the specific vision loss, by teaching you new skills like eccentric viewing to make the most of your remaining vision, and by using the latest vision technologies. 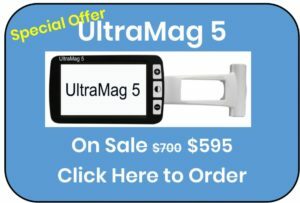 We determine the best distance correction levels of magnification (needed for different activities), tools and technology to maximize your residual vision. 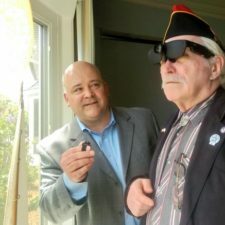 New England Low Vision and Blindness sets the gold standard with its suite of reliable and cost-effective low vision and blindness products and services for visually impaired veterans. To learn more about any of these products and services or to schedule a no obligation demonstration, contact a Low Vision Specialist at New England Low Vision and Blindness to learn more. You can also call our toll free number 888-211-6933 or email us at info@nelowvision.com.